NEW A new addition to our range of quality selected leather serretas made in Spain. 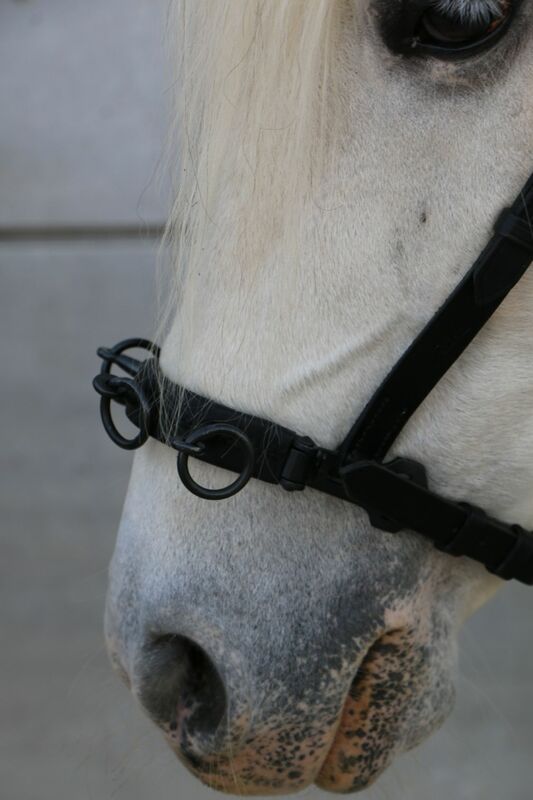 This three ring serreta has a rounded smooth metal noseband, covered by soft leather and is of a width to suit horses with a broader nose (and it can be re-shaped by the user to perfectly fit your horse). The throat lash is also fitted lower down, nearer the horse's cheeks, in order to prevent the side pieces getting close to the horse's eyes. Three colour options are available.